Chris has been teaching woodcarving at the Center for 21 years, at what must be the finest wood school in the US. The faculty show occurs every year and instructors have a chance to display (and sell if they want) pieces that they have made. 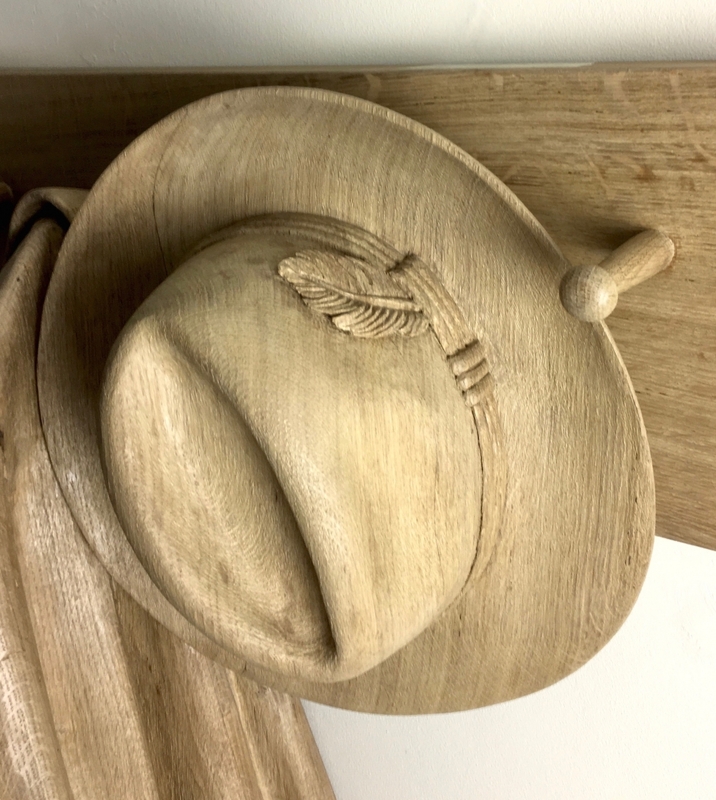 This will be Chris's last appearance at the school and he has chosen to show a major piece entitled 'End of the Day': a full sized coat, complete with newspaper in the pocket, and hat, complete with feather; all carved in Oak and hanging from a rack.